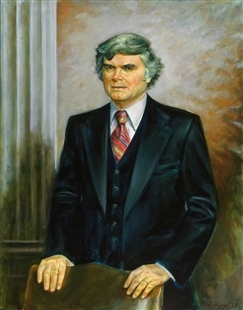 This portrait by Victor Lallier was unveiled on March 24, 1977, in the Budget Committee’s hearing room, just two weeks after his portrait of another Budget Committee Chairman, Brock Adams, was first displayed. 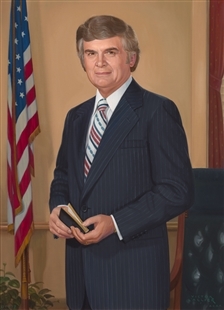 Lallier made a 60-year career of painting official portraits. He studied at the art school of the Dallas Museum of Fine Arts, where he subsequently had three solo shows in the 1940s. His popularity was greatest in Texas, but his subjects ranged across the country, including Ullman, from Oregon.